Jill loved for school to start - not so much because she loved school but because she got to pick out new pencils and paper and notebooks and all the odds and ends kids used to need for school. This was before the advent of computers so I don't know what they need now! 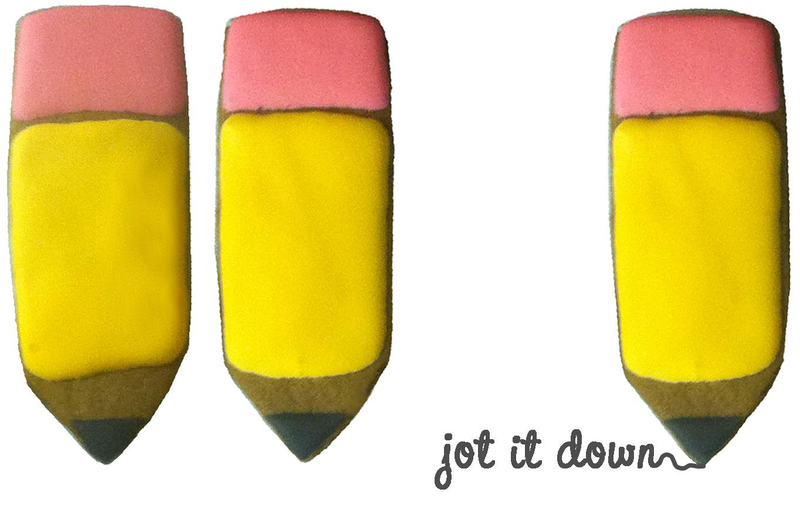 When Jill was in 4th grade she set up a little store at her desk - "Jot it Down". She made a sign out of bond paper and sold bookmarks in the shape of a pencil made out of construction paper. I still have one and amazingly I knew where to find it! How fun to make it into a cookie I thought . . . 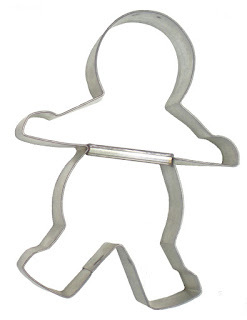 Cutting strips of dough was the easy part. I used a 1-inch wide c-thru ruler I keep in the kitchen just for baking and a board scraper. I love my board scraper! A knife will drag when cutting through dough but a downward motion with a board scraper is a much cleaner cut. It's perfect for cutting brownies and fudge. I wanted to use a cookie cutter to make the point on the pencil so I had my entire collection of cutters out. It had to be an inward angle to fit on the end of the strip of dough. I didn't want to just cut it with the board scraper because I wanted them all to be exactly the same! Yes - I'm obsessed! 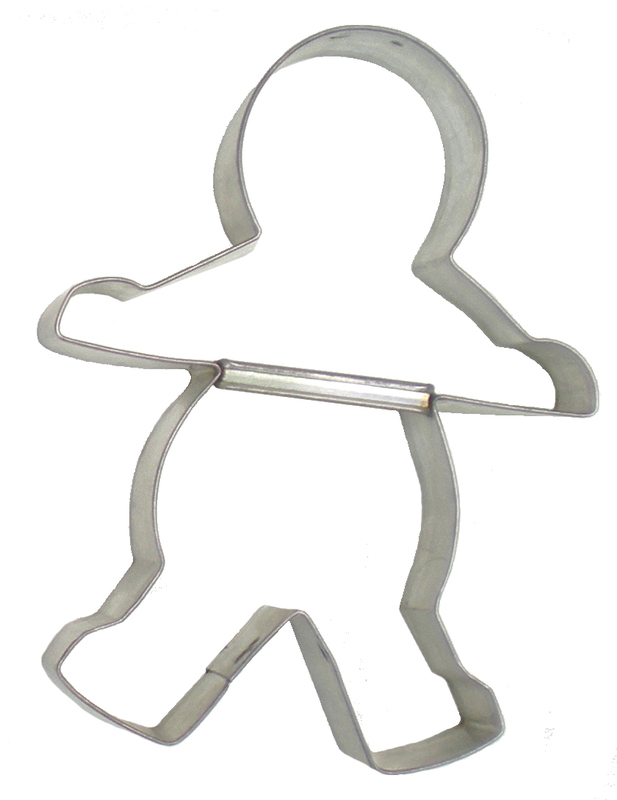 My original gingerbread man cutter came to the rescue when I used his legs for the angle I needed for the end of the pencil. Jill iced the pencil cookies and here they are - classic yellow pencils for school. I think those pink erasers look good enough to chew on! Which came first the yellow school bus or the yellow #2 pencil? But back to Jill's 4th grade class. The other kids decided to have stores at their desks too - and pretty soon it got out of control and their teacher had to shut them down so they could get back to school work. I remember the pencil book marks but not the story behind them. Jill was a creative force even back then! I love these pencils, good job MomSu & Jill!